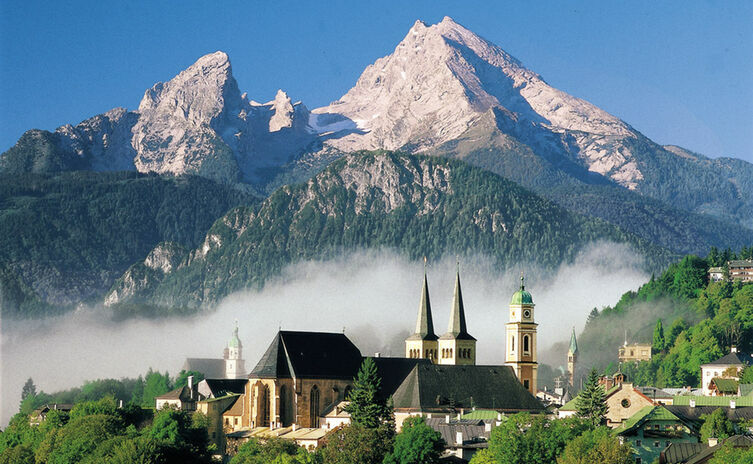 50 years "The Sound of Music"
The Watzmann mountain (2.713 m / about 9000 ft) - is the superstar of the "Berchtesgadener Land" as it towers above the valleys below. Not surprising that the mountain's imposing outline is used in numerous regional tourist and product logos. On its eastern side, Lake Königssee lies at its feet with the highest rock face in the Eastern Alpine Range, the famed Watzmann East Face. On the western side, the mountain looks over the unusual landscapes of the Wimbach Valley. 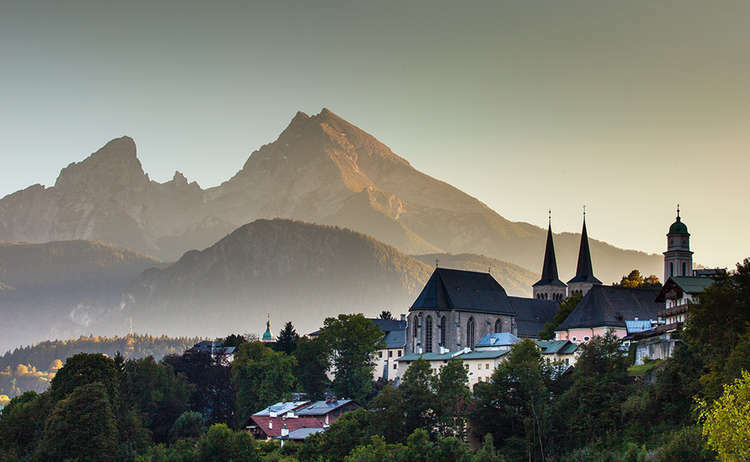 Mount Watzmann's three peaks are called Hocheck, Mittelspitze and Südspitze. A good 500 meters below Mittelspitze the ridge of the so-called Watzmann children rise up from the Kleiner Watzmann (also called Watzmannfrau). 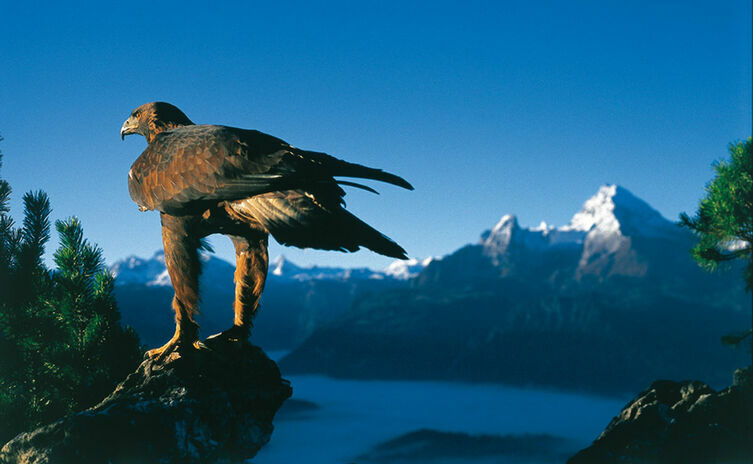 Its eastern face is a sheer climb of close to 2,000 meters and can only be scaled by experts. 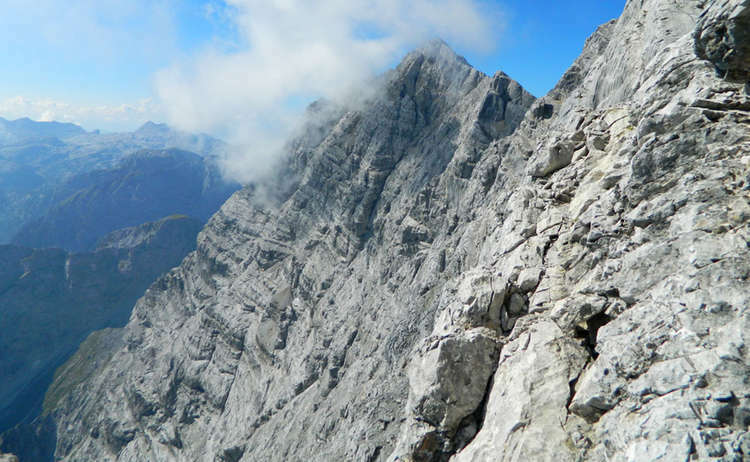 However, good hikers can reach the summit via another trail that leads past a large overnight hut called Watzmannhaus. 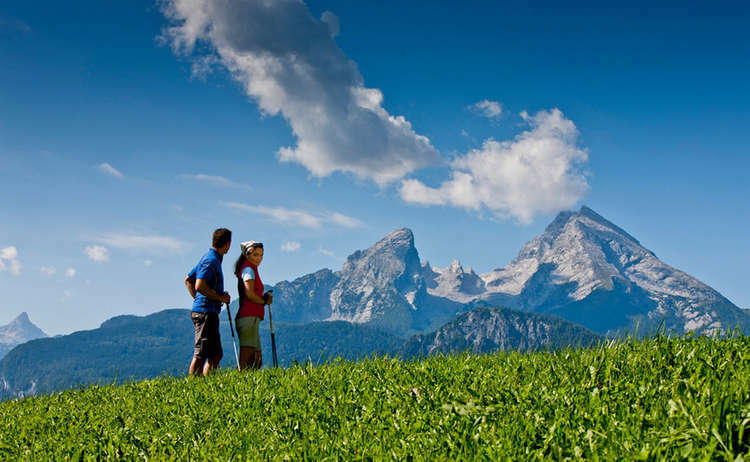 Even for those who do not scale Germany's second-highest peak, a photo of the Watzmann is a must for every visitor to Berchtesgaden!